I like this shade of black and texture so I took the picture. 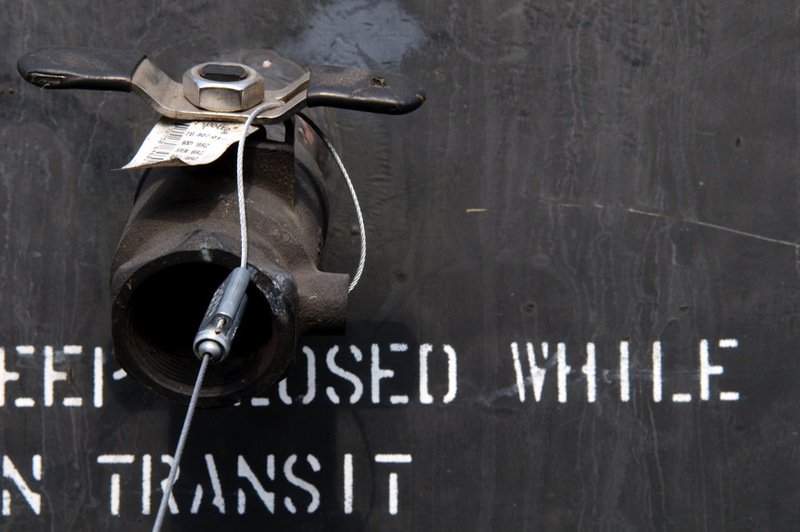 It is a tap or release valve on a train carriage that carries some kind of chemical. 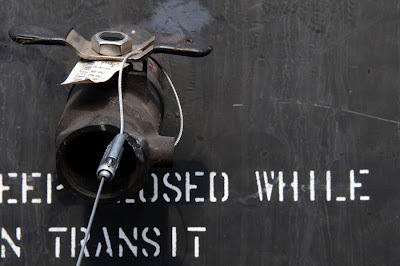 The instruction to "keep closed while in transit" is likely because air rushing past an open valve on an empty tank would likely cause a vacuum to increase and decrease inside in relation to the speed of the train. Apart from being noisy (like a church organ) it might also expel chemical residue. Well that is my hypothesis anyway.